M&M’s have come up with some great recipes in their time, but there’s one which might just top them all – Hazelnut Spread M&M’s. Nutella lovers know the delight of finding new ways to enjoy their favourite flavour spread; it really mixes things up a bit from just eating it straight out of the jar with a spoon. Or your finger, if you don’t have a spoon to hand. While there’s all sorts of things you can combine hazelnut flavour spread with, having the creamy deliciousness surrounded by M&M’s classic chocolate shell is truly a genius idea, resulting in that unbeatable chocolate and hazelnut flavour with the added texture of the M&M’s crunch. According to a press release by Mars, the Hazelnut Spread M&Ms will be hitting shelves in April 2019 – and you don’t have to worry about them being limited edition. The new treats are here to stay as a permanent member of the M&M family. Although, it’s not to say you shouldn’t stock up, just so you always have some on hand when your hazelnut spread craving hits. The bite-sized chocolate pieces will be sold in a range of sizes, including single sizes (1.35 oz. ), a ‘Share’ Size (2.53 oz.) and a ‘Sharing’ Size Stand Up Pouch (8.3 oz). I added in the quotation marks to emphasise how I don’t think a lot of people will be willing to share the hazelnut delights. The bags will add to M&M’s already colourful collection of flavours in an appealing teal packet. 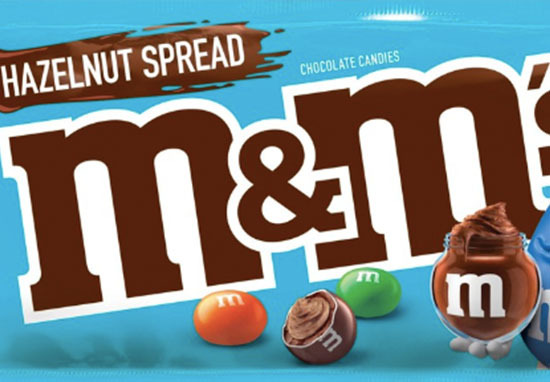 Hazelnut Spread M&M’s weren’t the only new product the brand revealed, as they also announced the creation of five new M&M’s chocolate bars. The bars add a new dynamic to the candies by encasing whole mini M&M’s with smooth milk chocolate. They’ll be available in five different and delectable flavours – Peanut, Milk Chocolate, Crispy, Almond and Crispy Mint. Luckily we won’t have to wait as long for these exciting new treats, as the chocolate bars will be hitting our confectionery aisles in December. The release of the new products was announced by Mars yesterday (September 25). The industry is changing and consumer tastes are evolving. We’re continuing to recognize and anticipate demand. We’re excited to debut M&M’S Chocolate Bars and know that our M&M’S fans and chocolate bar lovers alike will appreciate the delicious taste that comes from our rich and creamy chocolate. We’re equally passionate for the launch of M&M’S Hazelnut Spread Chocolate Candies next year. 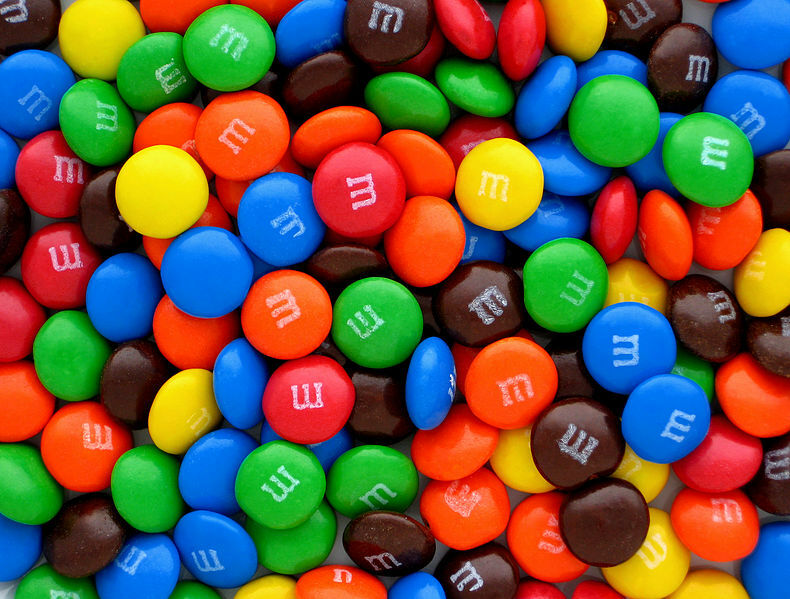 We’re thrilled to deliver this new flavor with color and fun, in a way that only M&M’S can. Chocolate lovers are of course overjoyed with the announcement of the new treats. Mars candies is going to introduce Hazelnut M&Ms. Because more calories in my life is exactly what I need. I will eat the whole damn bag. I’m already drooling at the thought of the hazelnut M&M’s, and there’s still seven months to go. Hurry up April!